Pixelmator Photo for iOS is a new image app that aims to bring the key features of its Mac stablemate to the iPad. While the Mac's Pixelmator Pro is a full image editor, the new iOS variant focuses specifically on tools to help photographers. It features non-destructive editing and quick tools for removing objects from photos, working with RAW images and adjusting curves and levels. As previously reported in AppleInsider, Pixelmator Photo has been built to use machine learning, which means that it can automatically make typical edits for you. For instance, it can suggest better crops. If you go to crop an image, an ML Crop button appears and tapping that will make Pixelmator Photo automatically offer a crop that will best center and display the objects in your image. In practice, this can vary in usefulness but it always comes down to your original image. On a quite close-up image of a stately home, for instance, ML Crop could do little. Yet for a collection of random objects, it was always able to automatically find a crop that encompassed them all, re-centered the image and generally just improved it. Most of the time you will want to make adjustments yourself, but it is usually at least a good start. One oddity with the new app is that you can't share an image from Photos directly into Pixelmator Photo. You have to open the new app, then choose to import from Photos. To make this part of a photographer's workflow, there should be a Share extension that can send an image from any app to Pixelmator Photo, but there isn't. It's not likely to be added, either, as there also isn't one for the older, more general-purpose Pixelmator for iPad app which was launched in 2014. That older app can also be used on iPhones where Pixelmator Photo cannot. It's more than reasonable to assume photographers will use Pixelmator Photo chiefly on the iPad. However, we've had times when being able to make a fast adjustment to an image on our iPhone was a lifesaver and it's a shame we can't do that with Pixelmator Photo. 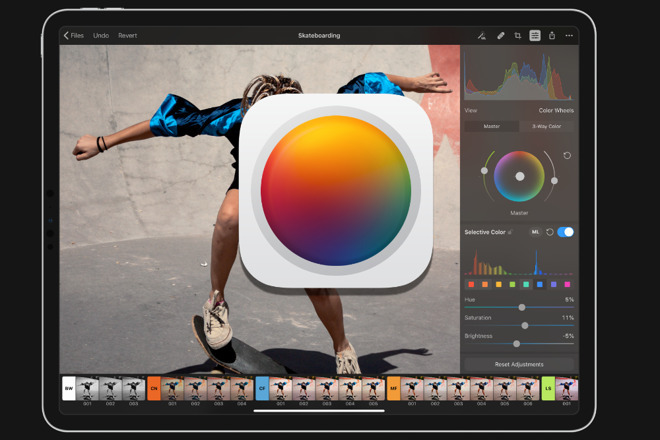 This is a significant addition to the Pixelmator range and it comes at a significant time, too, as this year we are expecting to see Adobe bring its full Photoshop app to the iPad. On the Mac, Pixelmator Pro has routinely been described as a Photoshop clone and while that's unfair —both apps address the same market but have quite different feature sets —this new app will help the Pixelmator team establish a toehold on the iPad. It does mean, though, that Pixelmator is a range of separate apps and up to now, that has been a failing of Adobe's offerings. 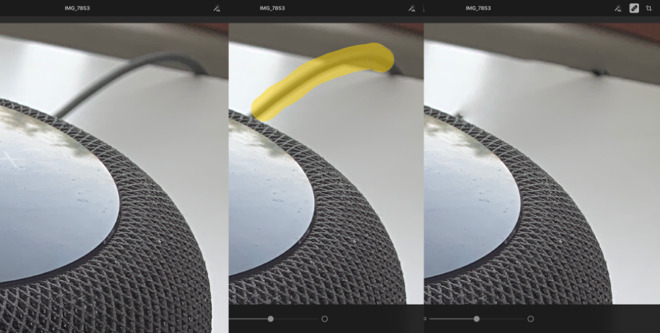 The Photoshop maker has tried many different iOS apps that all offer elements of the main photography app and they've tended to be unsatisfying. You have to remember which app does what, for instance. However, Photoshop for iPad is going to be part of Adobe's Creative Cloud subscription whereas Pixelmator Photo is a one-off and extremely low-cost buy. Pixelmator Photo costs $4.99 on the App Store. Pixelmator Photo deserves to do well because it's powerful, it's very easy to get into and it rewards learning. Until Photoshop comes, there's arguably only Pixelmator Photo and Affinity Photo offering these kinds of extensive tools. While Affinity Photo is more expensive than Pixelmator Photo at $19.99, it's more than worth a photographer's time and money to have both.